I made Apple Pie Crumb Bars, because I couldn't decide if I wanted an Apple Pie or Crisp. 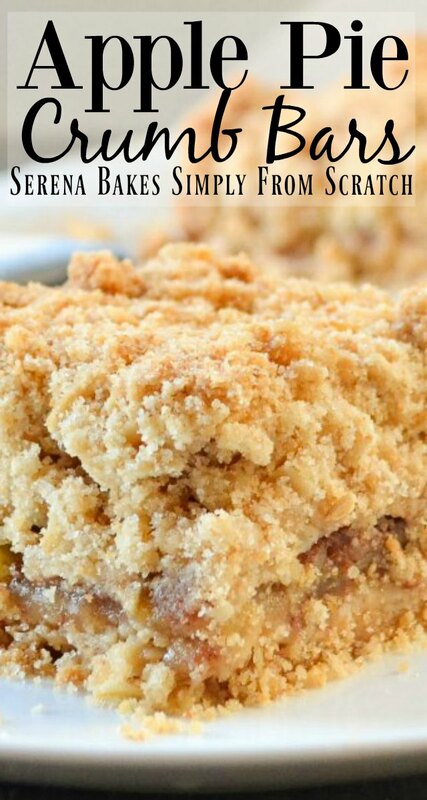 I love the crumbly top and bottom crust with the tart, sweet, cinnamony apple filling. 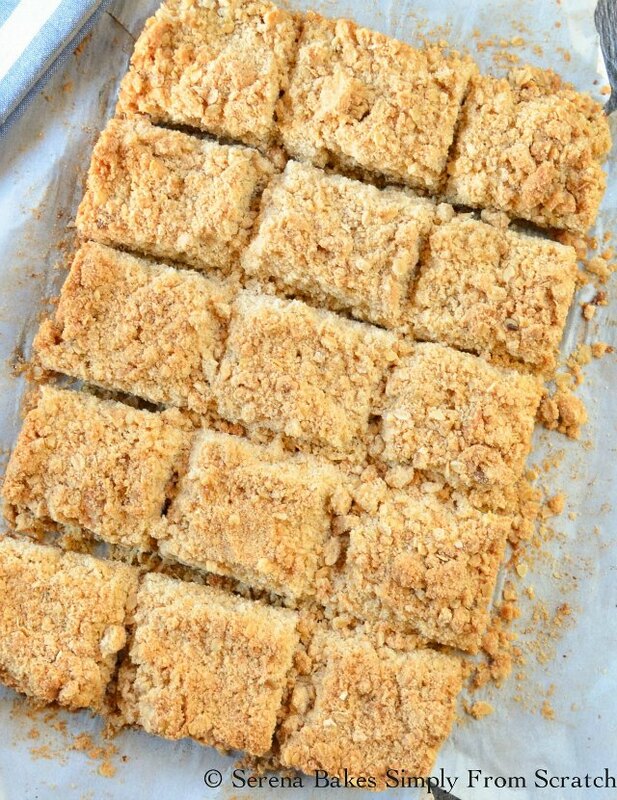 Apple Pie Crumb Bars are an easy to make hybrid of the two and perfect for a crowd! They have plenty of crumb for all my crumb lovers out there with plenty of apple filling! Lorna and I made 2 pans of these Apple Pie Crumb Bars so we had a pan to share and a pan for home because they never last long in our house. I also highly suggest a huge scoop of vanilla ice cream because there's nothing better in life then appley, cinnamony, crumbly goodness with a good old scoop of vanilla. I just happened to accidentally leave the vanilla ice cream out the night before so we had to enjoy our Apple Pie Crumb Bars at home without it but they were still amazing. You really can't go wrong with these. On low speed until combined. 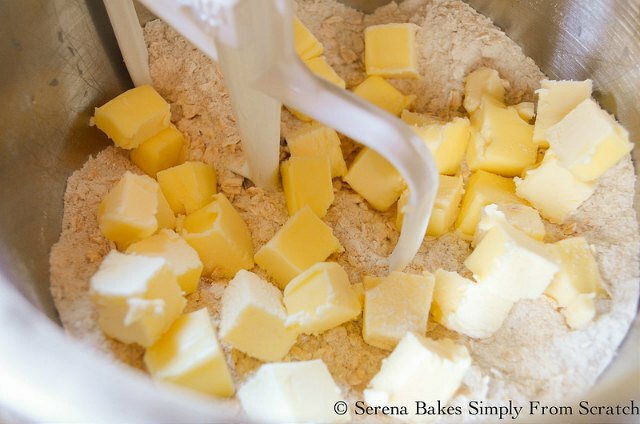 Add 1 cup Cold Cubed Butter on medium-low speed, until well combined, and crumbly. 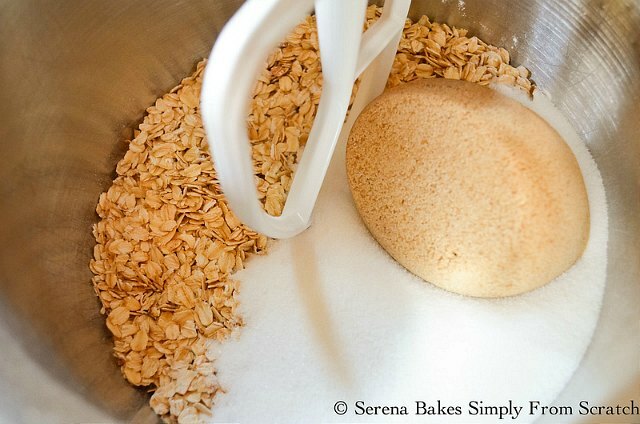 Mixture will look like this. Butter a 9"x13" pan. For easier removal line buttered pan with parchment paper and butter parchment paper. Press half of crumb mixture into the bottom of prepared pan. Spread apples evenly over crust, and cover with remaining half of crumb mixture. Press crumbs between fingers while distributing to form large crumbles. 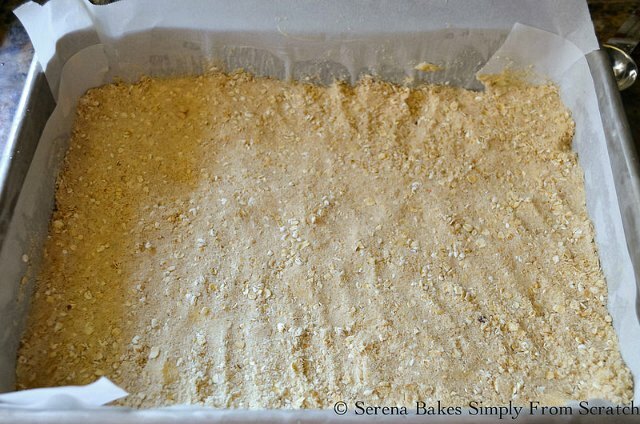 Bake in a 350 degree oven for 50-55 minutes until Apple Pie Crumb Bars are lightly brown, and apples are desired doneness when poked with a skewer. Allow bars to cool until just warm before slicing and add a scoop of vanilla ice cream if your heart desires. 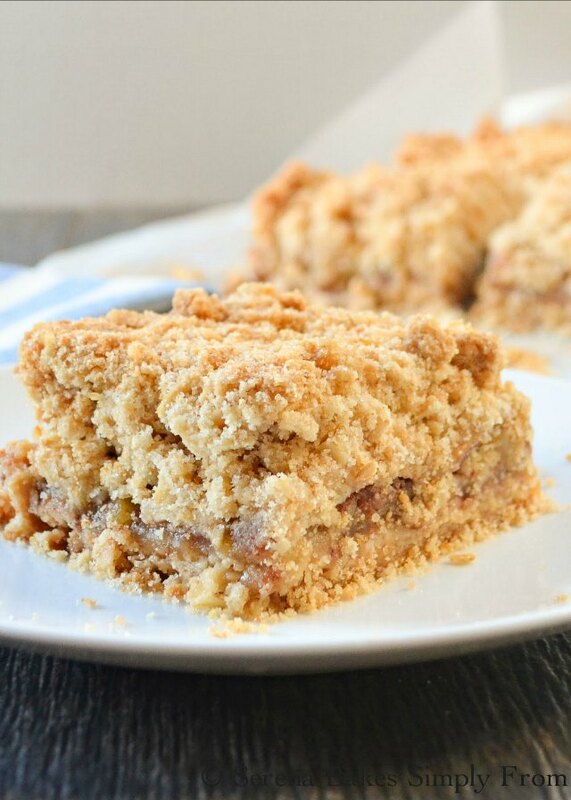 Apple Pie Crumb Bars are the perfect hybrid of Apple Pie and Apple Crisp plus easy to make. 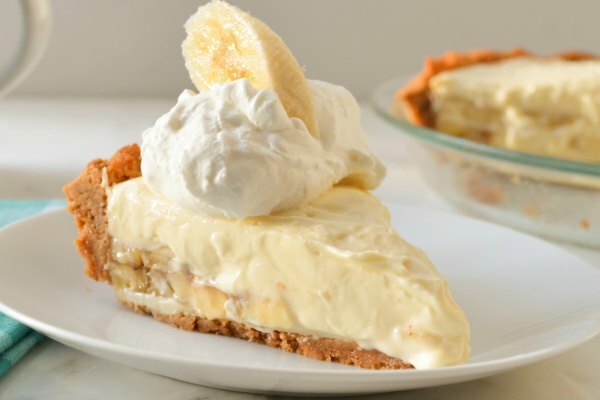 A great alternative to pie for Thanksgiving and Christmas from Serena Bakes Simply From Scratch. Preheat oven to 350 degrees. Butter a 9"x13" pan. For easy removal line pan with parchment paper and butter parchment paper. Set pan aside. 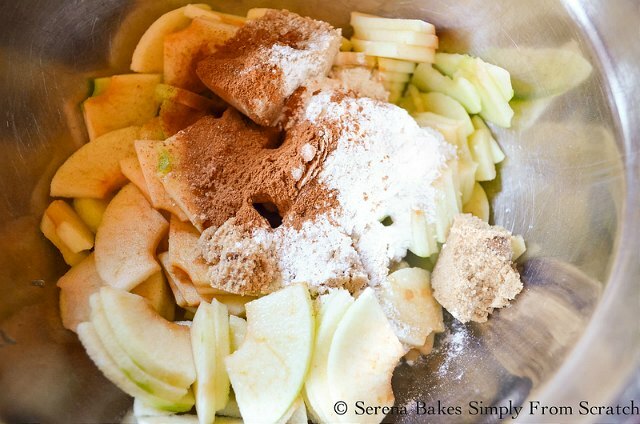 In a large bowl stir apples, brown sugar, flour, cinnamon, and lemon juice together, until well combined. 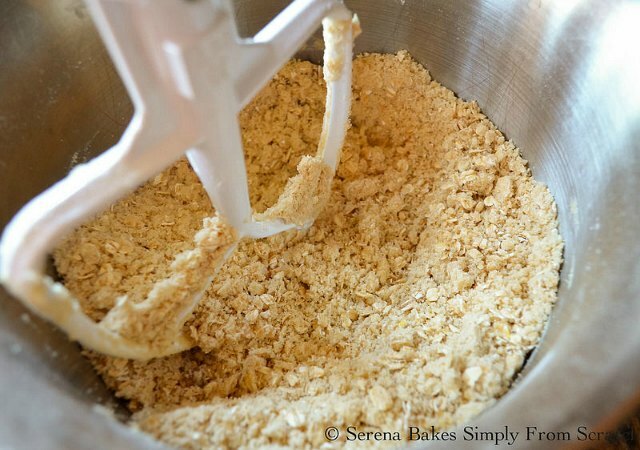 In a mixer fitted with a paddle attachment stir together on low speed flour, oatmeal, brown sugar, granulated sugar, baking powder, salt and cinnamon, until well combined. Add butter, and mix on medium-low speed, until well combined and crumbly. Press half of the crumb mixture into prepared pan. Cover with apple filling. 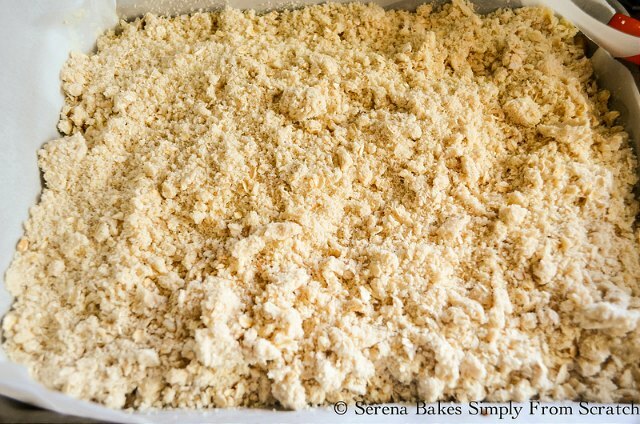 Press remaining crumb mixture between fingers to form large crumbs, and spread evenly over apples. Bake Apple Pie Crumb Bars for 50-55 minutes, until lightly brown, and apples are desired tenderness when poked with a skewer. 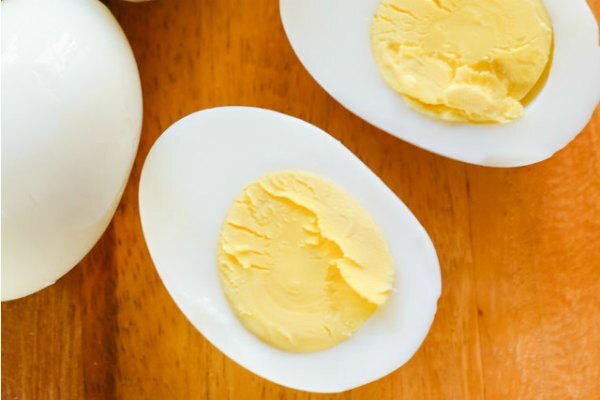 Allow bars to cool until just warm before slicing. Do you deliver? My word these look delicious! 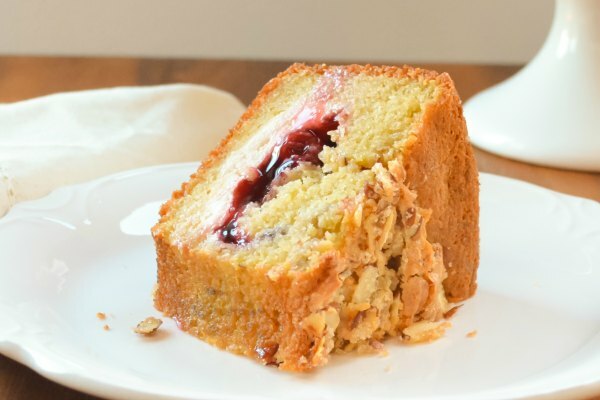 These look great - moist and crumbly at the same time! Ahhhhh - these just look so ridiculously good. Not ashamed to admit I'm kind of drooling.